20-30 minutes — Includes potty and exercise time, walking in your neighborhood on-leash or running/playing in your fenced-in yard, whichever you prefer, with water refreshed. Single visits after 4pm will incur a $5 fee. 10-15 minute — Includes potty break and quick stretch/run-around with water/food refreshed. The Pit Stop service is meant to assist with potty-training and is for pups 4 months of age and younger. It may also be used for senior dogs with vet-diagnosed bladder issues. 30 minutes — Includes potty and more vigorous exercise time running/jogging on leash at a fast pace OR hiking in a local wooded area for dogs that need that extra attention or adventure to expend their energy, with water refreshed. One of our sitters will stay in your home and provide all that your dog needs to stay within his usual routine in his own comfortable home environment! Holiday Rates may apply and a non-refundable deposit may be required at time of booking. 30 minute — in-home visit tending to whatever your dog needs while you are away at work, play or on vacation. Rate may be discounted at BnR's discretion if multiple daily visits are requested. A non-refundable deposit may be required at the time of booking for sitting services. Does your dog need to be taken to an appointment? Does your dog need some personal shopping done? We would be happy to take care of any “personal assistant” needs your dog has! 30 minutes – Supervised play in fenced-in private area on contracted client’s property. Play dates will be conducted only after Bark n’ Roll has had a meet and greet with all dogs involved and at our discretion. Bark n’ Roll offers weekly play group field trips in on and off-leash local areas that will change regularly (transportation included). Looking for a change of scenery for your dog’s walks? For clients residing near Lake Quannapowitt in Wakefield or IRP in North Reading, walks can be arranged to take your dog on a field trip out of the neighborhood to a beautiful setting with the opportunity to socialize while getting great exercise. Time includes pick-up, drop-off and walk. Please contact us for schedule, pricing and other details. We are not offering this service at this time due to services offered at our daycare facility at 211 Main Street in North Reading. 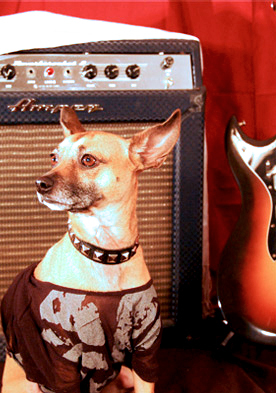 Bark n’ Roll offers basic and advanced obedience training through private in-home sessions as well as group training classes at our School of Rock in North Reading. We will work out a realistic program that specializes in the needs of you, your dog and your home that can include basic obedience cues, obedience refresher sessions, troubleshooting problem behaviors, helping you prepare for welcoming a new puppy into your home, potty/crate training basics, and more. Bark n’ Roll is also a certified AKC Canine Good Citizen Evaluator! We believe in the Power of PAWSITIVE Training and use only positive methods when working with dogs. Please contact us for more details and pricing. Flexibility: All services can be tailored to fit your individual needs. Just ask and we shall do our best to accommodate! Communication: Communication is key to Bark n’ Roll. All services include a detailed email after each visit. Appointment Times: We will do our best to work with your schedule, but times may vary. There is a one hour window of the scheduled time for all appointments. Last Minute Rate: Please note that an additional fee may apply for last minute service requests (24 hours or less advance notice). Cancellation Policy: A service fee will be charged for all cancellations with less than 24-hour advance notice. Please read our Exceptions and Other Company Policies for more detailed information. Sundays & Holidays: An extra fee will apply for all Sunday and holiday appointments.